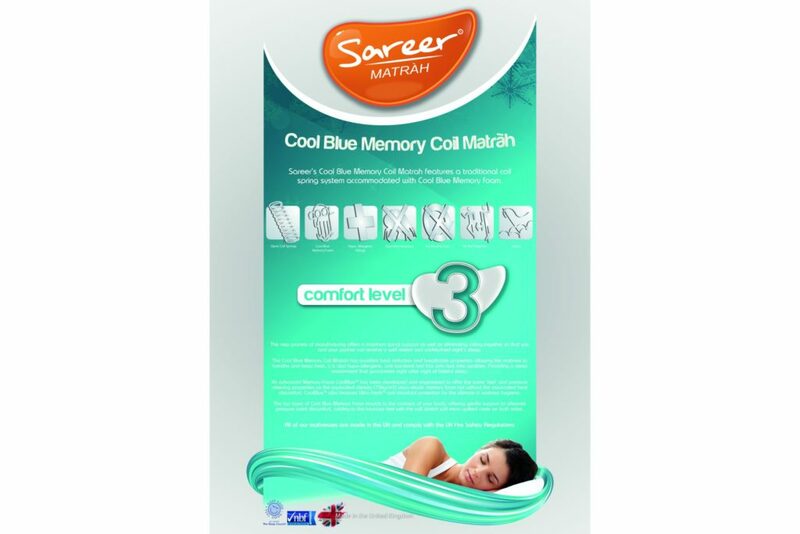 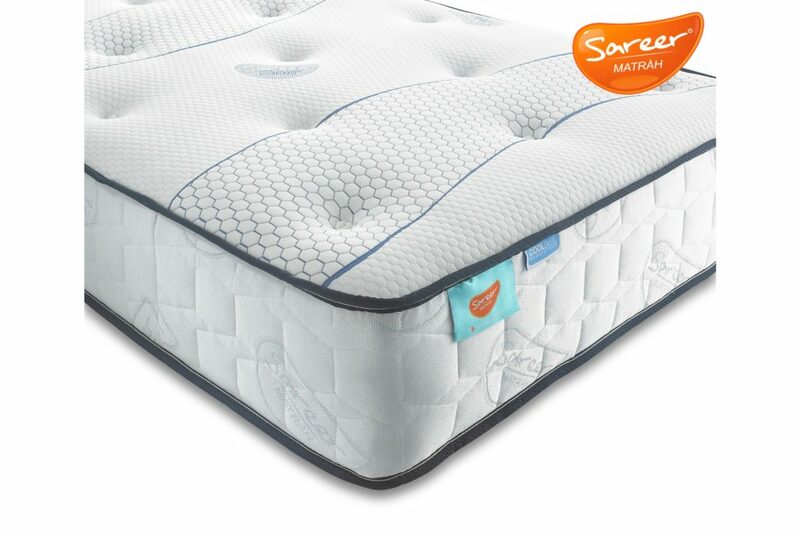 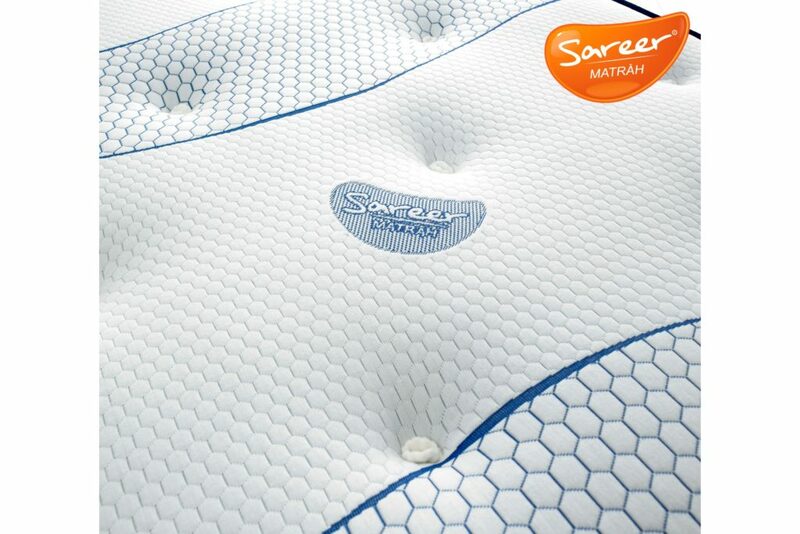 The Sareer Matrah Cool Blue Memory Coil Mattress takes advantage of two mattress technologies to offer up a totally supportive and comfortable sleeping surface. 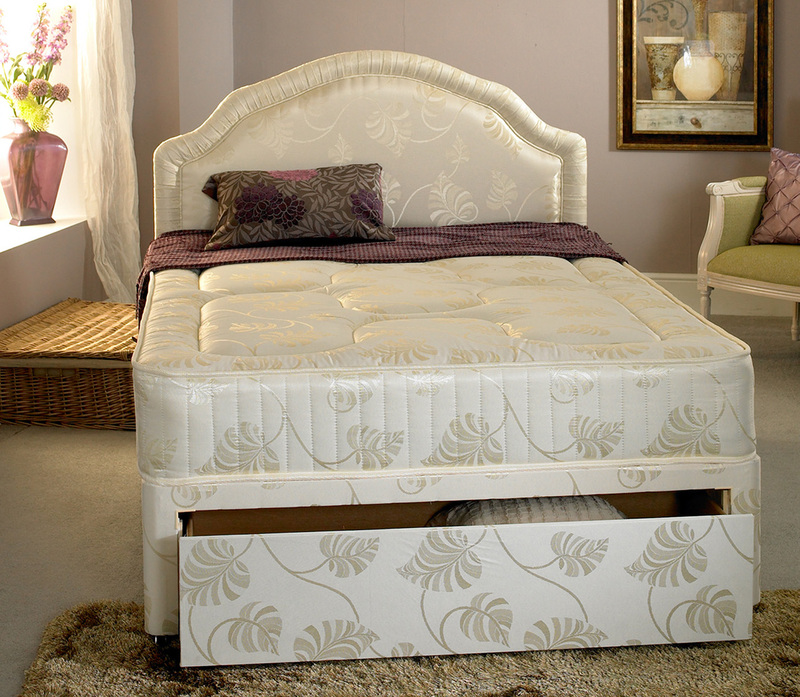 The open coil spring unit provides consistent support levels, especially to the spinal area. 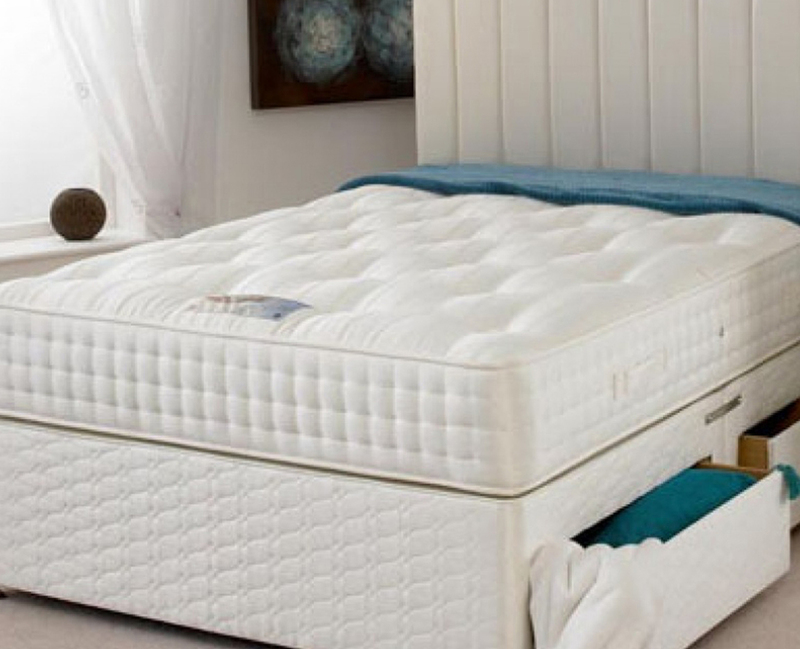 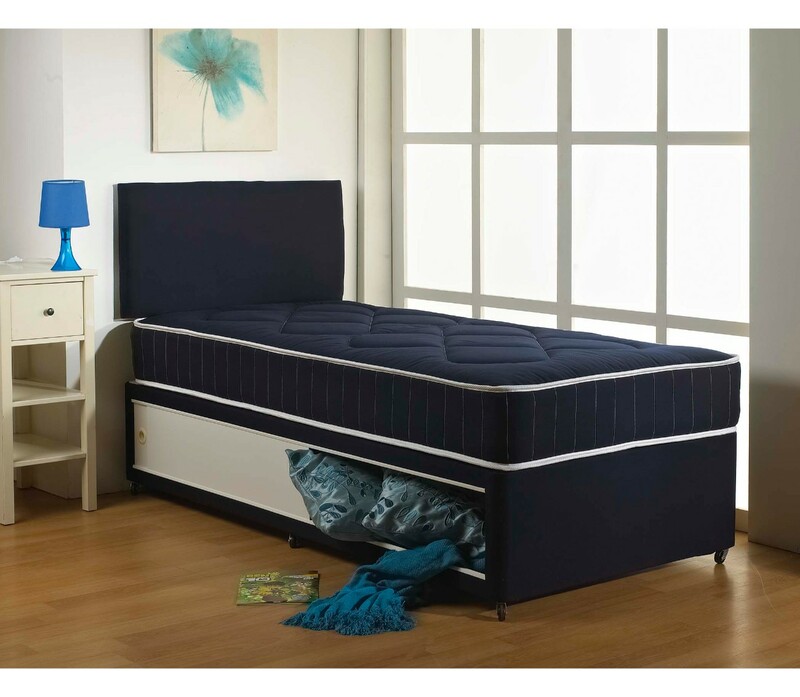 The coil spring unit is also surrounded by hypoallergenic fillings, making this bed ideal for allergy sufferers. 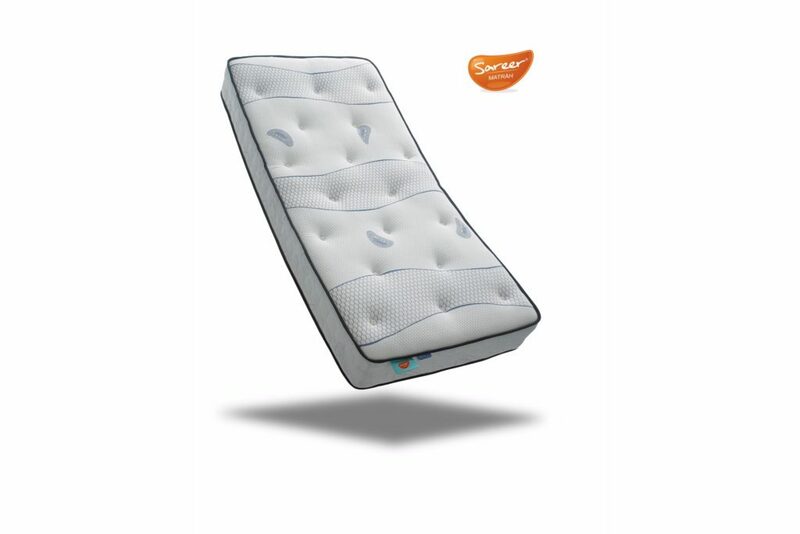 A Cool Blue memory foam layer sits on top of the coil spring unit. 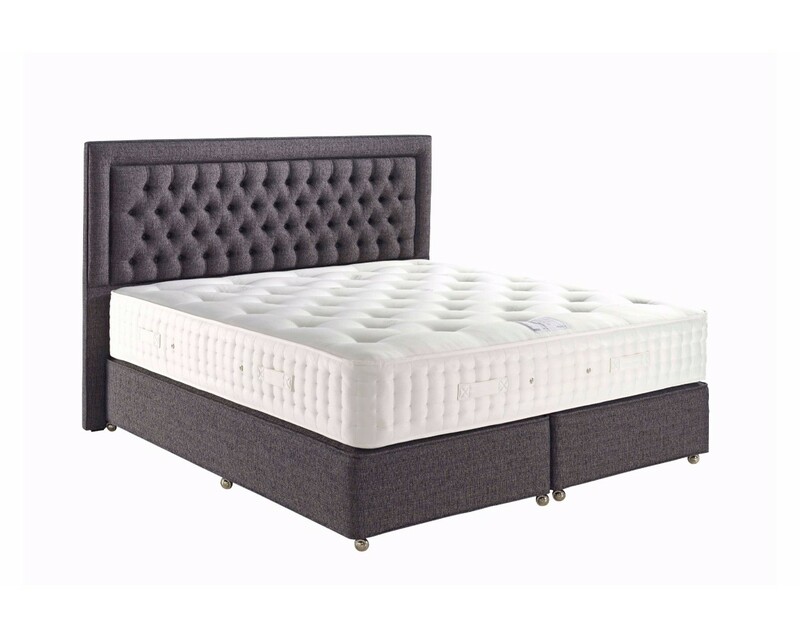 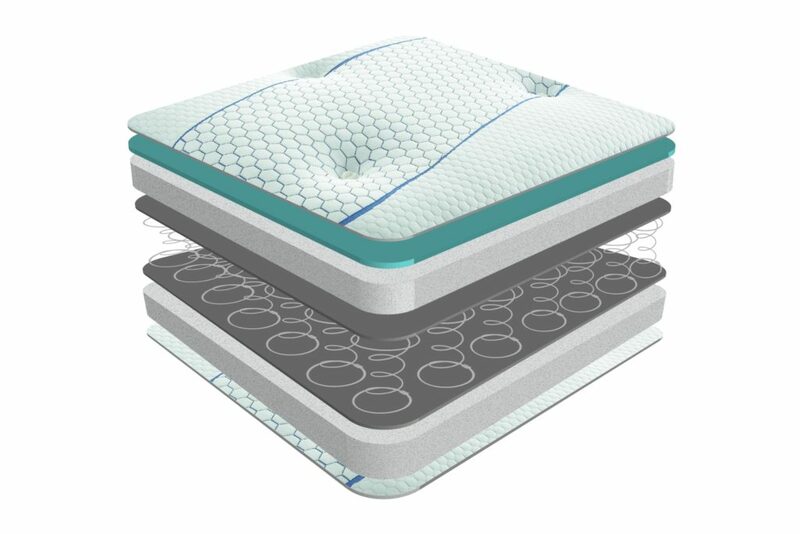 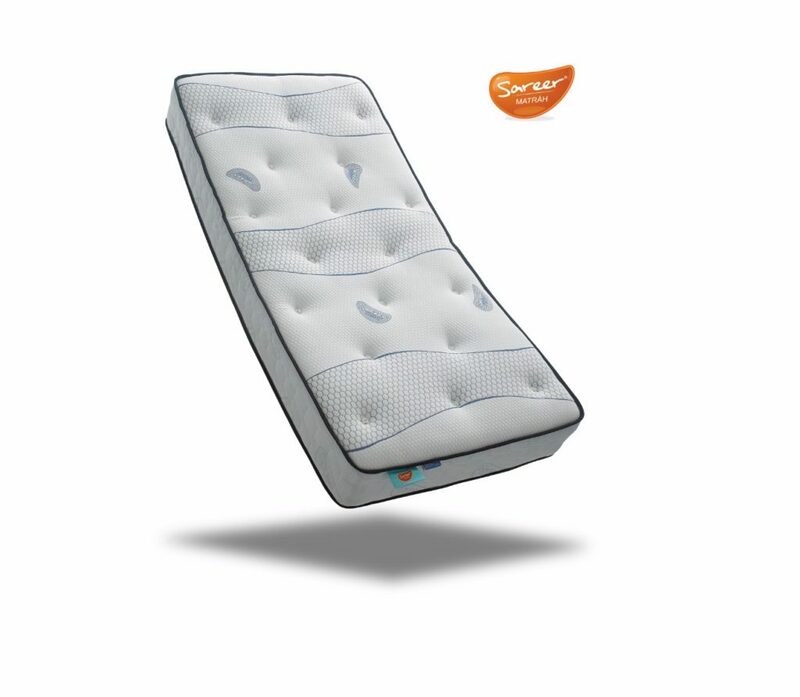 Specially developed and engineered to reduce heat discomfort throughout the night, this innovative memory foam provides the same feel and pressure relieving properties as regular foam and also works to keep you cool.